As a school community, we value and work hard on nurturing our students to take on key leadership roles which help to build a positive school spirit, solidify a strong sense of belonging and give the students a real voice in shaping and making our school community the best it strives to be. 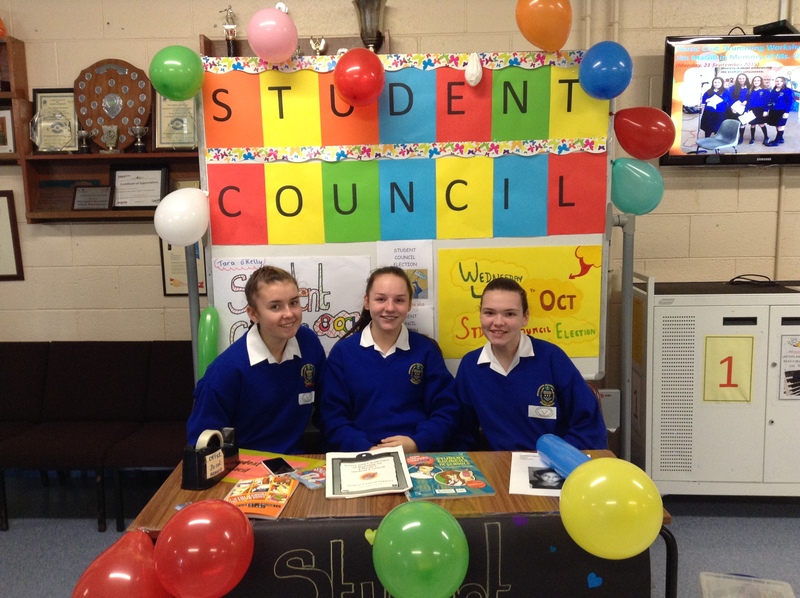 We have had a Student Council (formerly Student Forum) for the past twenty years. The Council consists of students elected from each class in the school. Every September the Council are voted in by a whole school electoral process based on proportional representation. To foster shared responsibility – partners in a working relationship. To voice opinions relevant to students. To develop a sense of responsibility. To give unity to student body. To act as a communication channel between students, teachers and management. To be a consultative body providing ideas and information to management. To discuss matters relevant to students. To make proposals on behalf of the student body. To organise extra-curricular activities . Students are encouraged to develop a sense of responsibility and to care for each other. This is facilitated by the presence of a 6th year Prefect system. The Prefects take responsibility for particular duties in the school. 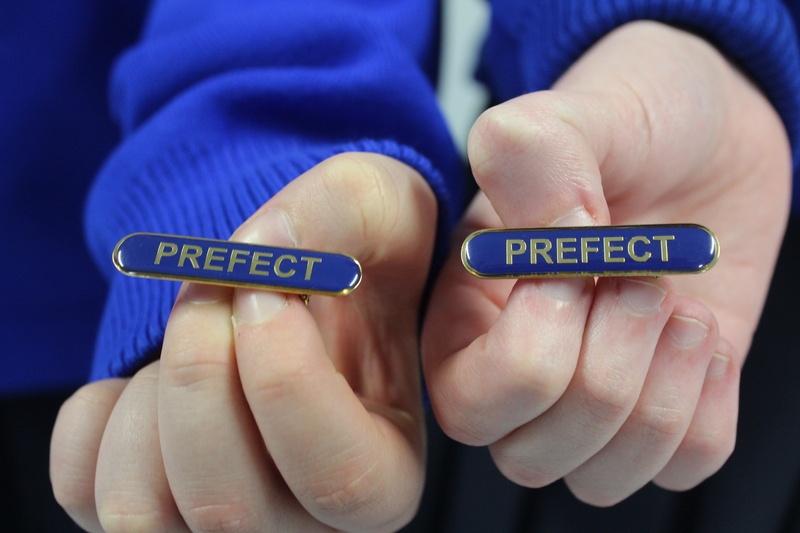 Students are invited to apply for the post of Prefect and are then selected following nominations, an interview and the successful completion of a leadership training programme. Following consultation with the cohort of Prefects, leadership trainers and staff, a Head Girl and Deputy Head Girl(s) are appointed. 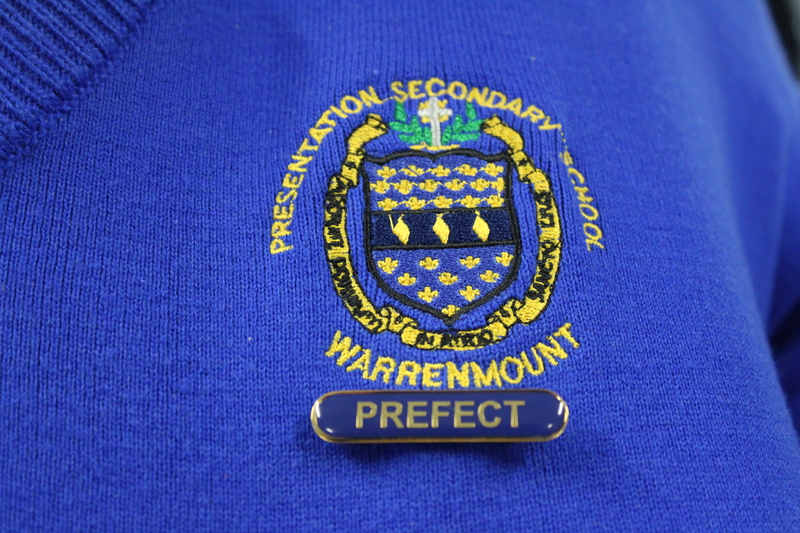 The Co-ordinator of the Prefects is a member of the teaching staff. Fostering a lively, enthusiastic school spirit. Helping out on social occasions. Acting as ambassadors for and representing the school when required. A specialised programme of Peer Mentoring is in place for first year students.The incoming fifth year students are invited to apply to become a ‘5+1’ team member and are selected following an interview and the successful completion of training. Successful candidates are obliged to participate in a leadership training programme which takes place prior to taking up their duties. 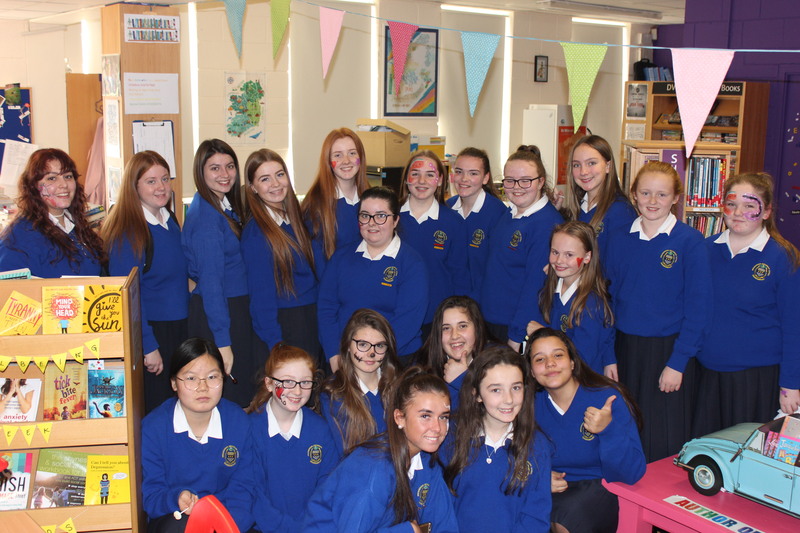 This fifth year group of students is met on a regular basis by a member of staff. Provide another support structure for first year students in their transfer from Primary to Secondary School. Empower students to help students. Bridge the gap where some students may be unwilling or unable initially to approach adults in the school. 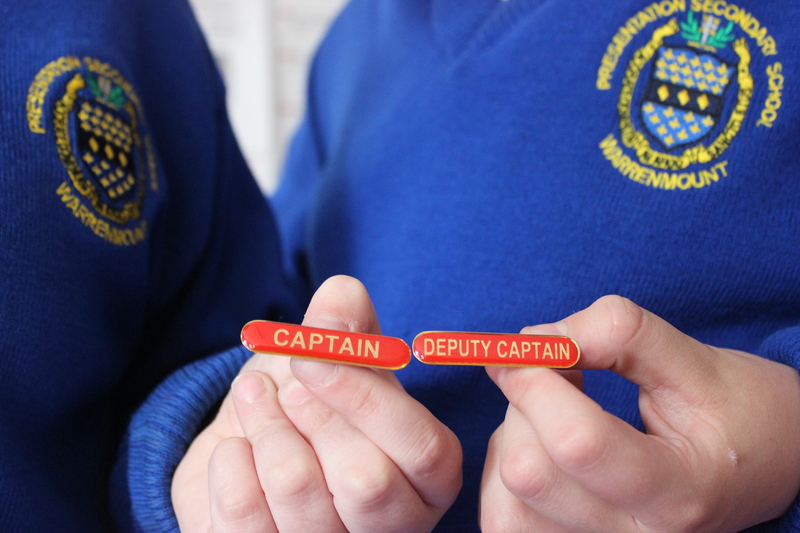 Following discussion with their Class Tutor, each class elects a Class Captain and Deputy Captain in accordance with an agreed election procedure. Training for the Captains and Deputy Captains takes place early in the first term. The Class Captain/Deputy Captain must give good example to the class by (i) keeping the school rules and (ii) co-operating with teachers She represents the class at functions and on other occasions. The Deputy Captain supports and assists the Captain in carrying out her duties and takes her place when she is absent.